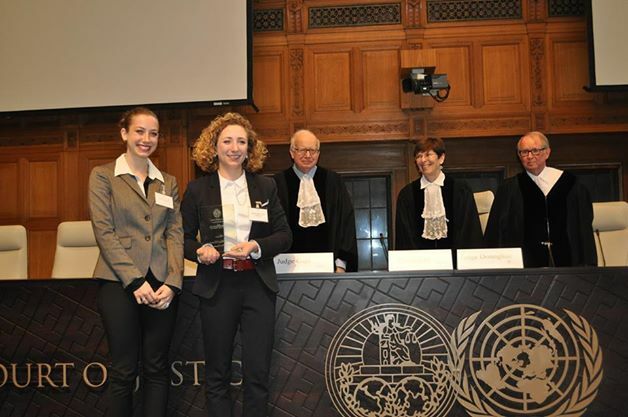 In April 2014, Maria Della Porta Rodiani and Olivia Flasch won the Telders International Law Moot Court Competition at the Peace Palace in The Hague. abroad, mainly in the UK to pursue a Master Programme. In 2014, alumni have ended up all over Europe and the rest of the world, with more than 17 countries accepting our students. Alumni keep coming back to visit their former lecturers at The Hague University after the end of their studies, while they start their career. They consider it to be important to share with the new generation of students their experiences, successes and mistakes. As the network is expanding and we are more than happy to see them graduating from prestigious universities, we keep inviting them to the Employment Network Event, which is a moment for alumni reunions and also to look for new employment opportunities for themselves. 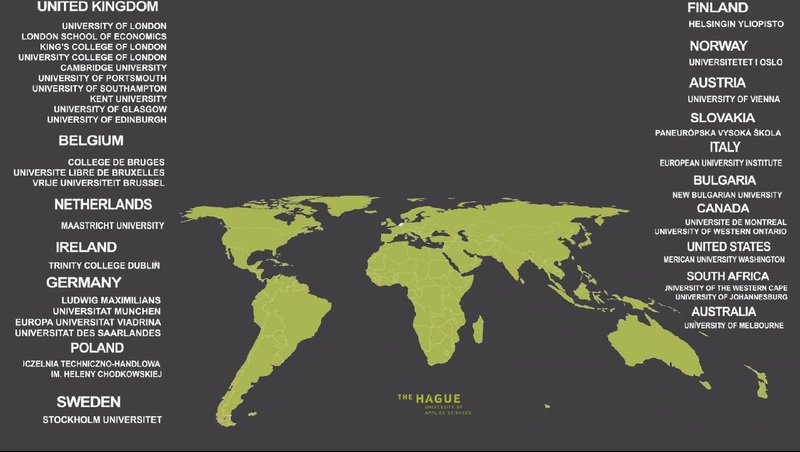 In September 2014, for the first time, the International & EU Law Programme has been evaluated as the best Bachelor of Law programme out of 20 programmes in the Netherlands, achieving 66 points (grade significantly above the average grade of all the Bachelors of Law in the country), ahead of Radboud Nijmegen University (65 points), Royal Groningen University (63 points) and Leiden University (62 points). In Year 1 and in Year 2, students are gathered in groups of 15 students (tutor groups) and they meet their tutor each week, meaning more than 32 times during the academic year, to discuss assignments, project tasks, and study & career coaching. of a legal officer in a company, a law firm, a public authority or an association. Students are trained to draft contracts, write speeches, prepare a memorandum to a client, discuss initial steps of negotiation… real tasks asked for in the work field!